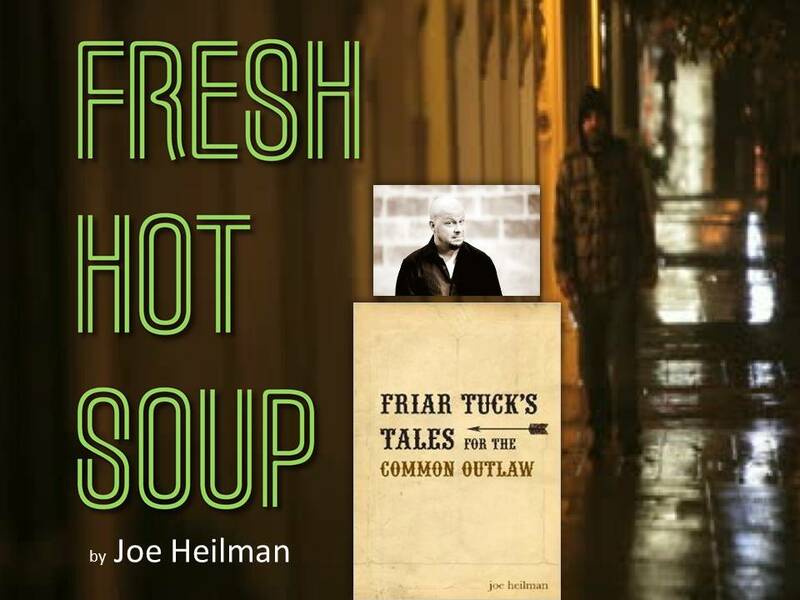 In this Gospel Message entitled ” Fresh Hot Soup,” visiting Pastor to New Life Fellowship of Baltimore, Pastor Joe Heilman, introduces us to his book “FRIAR TUCK’S TALES For The Common Outlaw,” a collection of stories meant to help people understand the Gospel better as they transition from one part of life to another. 1) That people think the gospel is a spiritual equation where God will LOVE ME, FORGIVE ME, CLEANSE ME, HEAL ME…ETC…..IF I HAVE ENOUGH…….FAITH, REPENTANCE, BAPTISM,…ETC. 2) That the Gospel is NOT a Self Maledictory Oath signed sealed and delivered (Genesis 15:18). 3) By exploring Romans 5-8 he shows that God’s covenant is not a transaction between us and God but rather a RELATIONSHIP we are INCLUDED in with FATHER, SON and SPIRIT. Like to hear from you again. I remember listening to Baxter Kruger years ago.It was a audio discussion on the gci.org website.He said,”The Gospel is a declaration not and invitation”.Your prayer at the end of your sermon reminded me of what Baxter said. I am so glad that all i can do is participate in the adoption that was planned for me before the foundation of the world.So glad that there isn’t something I have to do In order to make the Gospel valid.